Why we recommend Garaga garage doors? Looking for a new garage door or opener? Need your overhead doorrepaired? At Doormasters, we do it all! As your trusted garage door dealer in Red Deer since 1987, we have successfully grown our business thanks to our loyal customers and our positive reputation. Why are GARAGA garage doors the best choice for our customers? We believe Garaga offers the best quality products on the market. With classic styles and a wide range of colours, it’s easy to find the perfect look for your home or business. See our many residential and commercial garage doors in our online image gallery. Prefer to see our great selection in person? Visit our showroom! Located at 33 Mckenzie Cres #105, Red Deer, we are pleased to serve you Monday to Friday from 8:00 AM - 5:00 PM. To book an appointment or to request a free estimate, please call us at 403-347-8670 or complete our easy quotation form. At Doormasters, we stock a wide range of door openers for all types of overhead doors. Our expert staff would be happy to help you find the most suitable opener for your specific garage door system. Once you have found the perfect opener, our team will install your new unit according to the strictest industry safety standards. Since a garage door opener must be safe and reliable, we only carry the best. We sell and install LiftMaster brand door openers made by Chamberlain. LiftMaster products offer convenient options including remotes, keypads, lighting and real-time alerts. And thanks to LiftMaster’s online app, you can control your garage door from just about anywhere! The right opener makes your garage door easier and safer to use. For more information, please visit our door opener gallery or contact us directly. We can recommend a great residential or commercial door opener, set up a service call and more. At Doormasters, we understand the importance of a proper garage door installation. All of our technicians are certified by the International Door Association. 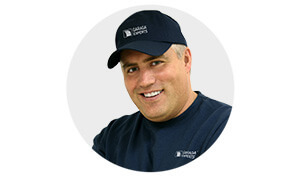 To ensure your new GARAGA garage door is perfectly installed the first time, we are also authorized Garaga Experts. Since mishaps can happen at any time, we offer 24‑hour emergency service. To keep your door running smoothly all year long, our team offers a preventive maintenance program. We strive to offer the best possible customer service – that’s why we focus on quality products and timely, professional service. We’re so confident in our work that it comes with our 100% guarantee. Contact us today for all of your garage door installations, maintenance and repairs. Visit us at #105, 33 McKenzie Cres, Red Deer County, Alberta, or call us at 403-347-8670. We serve Red Deer County and surrounding areas. Knowledge, experience, fair prices… you can always count on Doormasters. Who are we at Doormasters? Your GARAGA Garage Door Specialist in Red Deer County.